The time was 24th-30th January, the place to be was SR 16 and the event was the Voice of Prophecy week of prayer. Graced by one eloquent lady who turned out to be both articulate and meticulous in simple a manner, it was definitely a good way to kick start the semester and year for that matter. She was Keziah Moraa, and one of her favorite lines was “Follow me, you are sure not to get lost, for I am following the Holy Spirit”. And so it was. Some prophecy amateurs like yours truly gained exceedingly much from the teachings,even quoting Bible verses.Well,not with the exact precision of one Elder Collins Omiti but atleast we learnt.Ask Elder Ngare and I to explain the meaning of "desolating sacrilege spoken of by Daniel" in Matthew 24:15 and we'll be glad to tell a tale. The night started with a brief singing session followed by prayer time. Being the first day of the week,the presenter chose to start on a high note. And what better way to do so than to give Luke 21:31 as the first verse: “So likewise ye,when ye see these things come to pass, know ye that the kingdom of God is nigh”. The Book of Matthew chapter 24 also gives a very clear-cut message on the things Jesus said MUST happen before He comes back the second time.Most of these prophecies have actually been fulfilled,proving beyond reasonable doubt that truly the Word of God is truth. On this day which was Monday, Sister Keziah delved into the deep waters of the Book of Daniel and Revelations, taking the congregation along with her. Systematically the Holy Spirit led her as she guided us through Daniel 2:31-33 which talks of the dream of King Nebuchadnezzar and its interpretation as given by Daniel. This was definitely a day not to miss as history was brought to life by both scripture and world events. "If it were possible, they shall deceive the very elect" [Matthew 24:24]. From false prophets who come in the name of the Lord, assuming the title of holiness that only God and God alone should be worthy of, they masquerade to be sheep when really wolves. (Philippians 2:5-8). Their expensive lifestyles do not reflect the image of Jesus Christ who being found in human form he humbled himself and became obedient unto death, even death on a cross. On Wednesday it was time to take the prophecy story a notch higher. The topic of the day did not disappoint. Ellen G White expressly defines this shaking that will take place in the last days in the Great Controversy page 464 paragraph 1 “Before the final visitation of God's judgments upon the earth there will be among the people of the Lord such a revival of primitive godliness as has not been witnessed since apostolic times. This shaking is likened to the time when Jesus went to the temple and found people selling and buying, He chased them away for turning His house of prayer into a den of thieves(Matthew 21:12-13).Such is the purging and cleansing that should take place not only in the church but in our own very hearts. With precision and consistent bible verses, Thursday was the day to tackle this topic that is deemed difficult by those that have not studied it. We even went back to the book of Exodus (Chapter 8-10) to relate the plagues of the time of Pharaoh to the end times. The intricate relationship of the book of Revelation to the Old Testament sorely proves the elasticity and truth of the Bible. As much as that may sound frightening, this knowledge is to urge us to be on watch at all times, and to be faithful to the end when we will see Him coming in His glory in the clouds of air. It was the Sabbath once again! Best day of all weeks and this one was no exception. No exception because even the district Pastor was in attendance, Pastor Maasi in flesh.Sister Keziah was the main speaker. Speaking she did. 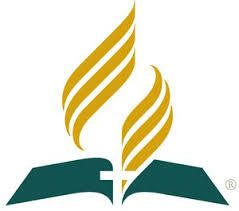 Of Mount Zion and Calvary, of Mount Carmel and Pisgah. Of Mount Moriah and Sinai.All these mountains where the fathers of faith exalted God, are the mountains to which we should run even today. All in all, the voice of prophecy week that ended on Saturday evening was phenomenal.To say the least. 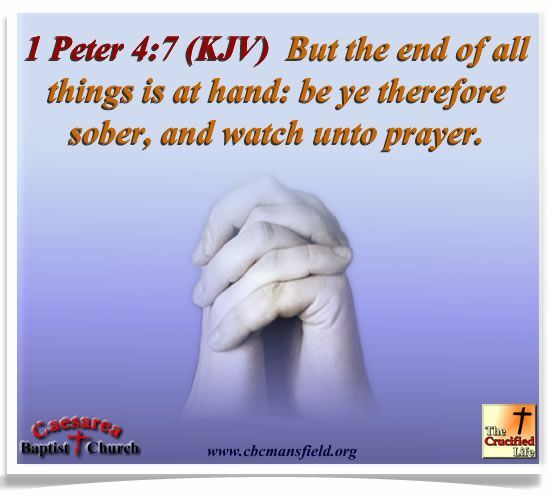 It reminded us that as Adventists we should be alert and watch unto prayer,even as we wait for the 2nd coming of our Lord and Savior Jesus Christ. Amen and amen!